Founded by World Champion yoyo legend, Tyler Severance, Recess brings you some great new throws that are guaranteed to be quality, through and through! Introducing Tyler Severance's brand, Recess! Their first throw is the aptly named First Base - g.. 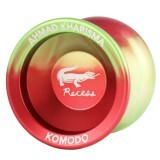 The Recess Komodo is the signature yoyo of 2013-14 Asian 1A champion, Ahmad Kharisma - now a mem.. 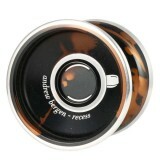 The Recess Vacation is the second Bi-Metal yoyo from Recess - a line of yoyos that just keeps ge..